The imagery of Pentecost may be important. Pentecost is a pilgrim-holiday also known as the Feast of Weeks or Shavuot. The holiday celebrated the firstfruits of the harvest. The Festival of Weeks was the smallest of the three pilgrim festivals, falling 50 days after Passover (seven weeks), the late spring / early summer. This festival included an offering of two loaves made with the wheat given in the firstfruit offering. The point of the festival was “to declare God’s ownership of the land and his grace in bringing forth food. According to a tradition found in the book of Jubilees, Pentecost was the day on which Moses was given the Law (cf. Tob 2:1, 2 Mac 12:32). This tradition is based on the belief that the Israelites arrived at Sinai 50 days after the first Passover (Exod 19:1). Some scholars (Knox, Snaith) have made a connection between this tradition and the gift of the Holy Spirit. 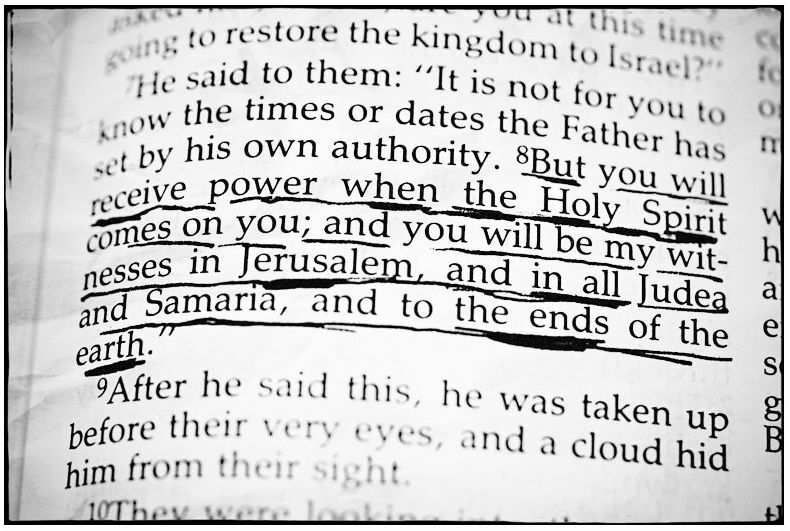 Since Moses gave out the Law to Israel on this day, Jesus gives the Holy Spirit to the church. Fitzmyer thinks Luke was aware of the tradition since there are some indirect allusions to the giving of the Law in Acts 2, not the least of which is the image of fire descending (Exod 19:18). Whatever the intended imagery, the day represents the largest crowd in the Temple area after Passover. Peter and the other apostles are able to preach to large crowds of biblically-minded Jews gathered to worship God in the Temple (Acts 2-3). Is there anything in Peter’s sermon that makes some use of this Pentecost imagery? In other words, why is Pentecost the time God chose for the outpouring of the Spirit? Bibliography: W. L. Knox, Acts, (NCB, Oxford: Clarendon, 1967), 80-84; N. Snaith, “Pentecost, the Day of Power,” ExpTim 43 (1931-32): 379-80. The Ascension of Jesus strikes me as an undervalued event in the teaching of the Protestant church. 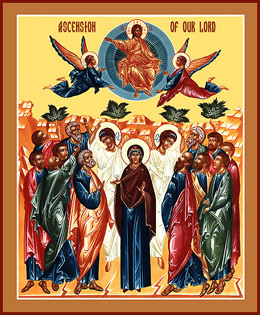 We do a great job on the death and resurrection of Jesus, especially around Easter, but rarely do we reflect much on the Ascension. There is an “Ascension Sunday” in liturgical calendars, but most Protestant churches do not make too much of the Ascension in our post-Easter worship. It is a bit of a surprise to find out that the Ascension is not found in Matthew or John and only appears in the longer ending of Mark. The last few verses of Luke mention the Ascension in anticipation of the longer telling of the story in Acts 1. The Ascension functions in the story of Luke-Acts the climax of everything Jesus taught about himself and his role as messiah, but also as an anticipation of the direction of the narrative plot of Acts, but also the theology of Acts. With respect to the narrative development of the book, the message that Jesus is the Messiah will be preached in the next chapter, starting in Jerusalem, but ultimately the message will go to “the ends of the world.” Acts 28 concludes the book with Paul in a synagogue in Rome, still giving witness to the fact that Jesus was the Messiah. The Ascension is also important for Luke’s view of the future. The departure of Jesus anticipates the way he will return, as the angelic messages state in Acts 1:11. I think that the pattern Luke has in mind here is drawn from Ezekiel 10 and 11. There the prophet sees the Glory of God depart from the temple to the east, stopping on a mountain to the east of the Temple before ascending to heaven (11:22-23). After the Glory of God has departed, Ezekiel is told that there will be no more delay, the city will fall and the long exile will begin. What are some other ways the Ascension functions as a part of Luke’s theology of Jesus? Looking ahead in Acts, what else does this important event anticipate? In Acts 1:6, some disciples wonder if Jesus was now going to “restore the kingdom to Israel.” This question is reminiscent of the Olivet Discourse in Luke 21:5-37, where the disciples ask about the coming judgment on the Temple. When they asked “when will this happen” in Luke 21, Jesus’ answer implied that it would happen very soon, within a generation (Luke 21:32). What prompts the question is Jesus’ command to remain in Jerusalem until they are baptized with the Holy Spirit “not many days from now.” As Keener observes, talk of the Spirit’s outpouring was de facto eschatological in character” (Acts, 1:682). Many texts from the Hebrew Bible indicate that the eschatological age would be characterized by the Spirit of God on all his people (Joel 2:28-31, which Peter quotes in the next chapter, but also Isa 42:1, 44:3, 59:21). If the Spirit is coming, then the time of the restoration of the Kingdom to Israel must be soon. After the resurrection of Jesus, it was only natural for the disciples to think that Jesus would now enter the Temple in the power and glory of his resurrection and begin to reform the religion of Israel and begin the process of evangelizing the nations. This was a clear expectation of the Messiah’s activity. 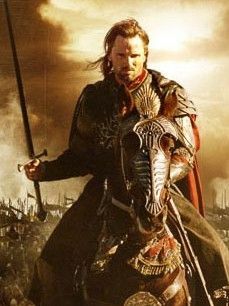 Beginning with the people of God, Messiah would either convert the enemies of Israel or destroy them. On a historical level, the question the disciples ask resonates with many other Jews living in the mid 30’s A.D. The verb translated “restore” here (ἀποκαθίστημι) is a key eschatological term. It appears in Malachi 4:6 (LXX 3:23) and LXX Daniel 4:26, and it anticipates Acts 3:21 where the word appears in an eschatological context. The hope of Israel was that the kingdom would be restored to them as the prophets had predicted (Isa 2:2, 49:6; Jer 16:15; 31:27-34). Isaiah 2:2-4 In the last days the mountain of the Lord’s temple will be established as chief among the mountains; it will be raised above the hills, and all nations will stream to it. 3Many peoples will come and say, “Come, let us go up to the mountain of the Lord, to the house of the God of Jacob. He will teach us his ways, so that we may walk in his paths.” The law will go out from Zion, the word of the Lord from Jerusalem. 4He will judge between the nations and will settle disputes for many peoples. They will beat their swords into plowshares and their spears into pruning hooks. Nation will not take up sword against nation, nor will they train for war anymore. In fact, Luke began his first book with the hope of the coming Messiah in the Song of Zechariah (Luke 1:69-74) as well as the words of Simeon in the Temple (Luke 2:24-32). The disciples expect Jesus to tell them that he is in fact about to restore the Kingdom and take his father David’s throne in Jerusalem. Much like the crowds in Luke 19:11, the disciples expect the Kingdom of God, as described by the prophets, to arrive at that moment. Yet it is no surprise when Jesus reminds them it is not for them to known when the kingdom will be restored. The idea of an interim period between the present and the coming kingdom is well known in Second Temple Period Judaism. For example in 4 Ezra 4:33-37 the prophet asks “How long and when will these things be? 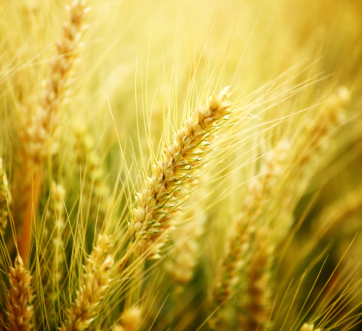 Why are our years few and evil?” The answer in this late first century text is that “the time of threshing is delayed for the righteous—on account of the sins of those who dwell on earth.” The interim is to be used wisely. The new age will certainly dawn, but in the meantime the righteous will continue to labor. Many of Jesus’ parables have a similar theme (the Ten Virgins in Matt 25:1-14, for example). As for the disciples, they are called to be witnesses to the good news of Jesus in Jerusalem, Judea, Samaria, and all the earth. To some extent, the kingdom is about to begin in the Temple in a manner which is not unlike what many expected. That the kingdom would be given to a group of Galileans rather than a faction within Judaism (Pharisees, Essenes, etc.) was not expected at all. These men are quite literally the most unlikely group of people to be commissioned with the task of announcing the Messiah to Israel and then the rest of the world! When asked if he was about to restore the Kingdom to Israel, Jesus reminds his disciples that “it is not for them to know” when the kingdom will be restored. Rather than knowing the “times and dates” God has planned, the disciples are to be witnesses to the good news of Jesus in Jerusalem, Judea, Samaria, and all the earth. To some extent, the kingdom is about to begin in the Temple in a manner which is not unlike what many expected. The Holy Spirit will fall upon people and they will speak the Word of God in power in the Temple itself. These men are to be witnesses, a very important word in Luke-Acts and this command is in many ways programmatic for the chapters which follow. In the chapters which follow, the 12 disciples are called witnesses 8 times, and the Holy Spirit bears witness on their behalf (Acts 5:32). 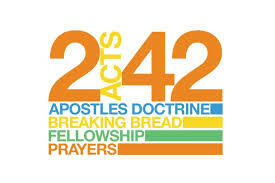 Both Paul (22:15, and 26:16) and Stephen (22:20) are called witnesses in Acts. The disciples are to give testimony of who Jesus was (the messiah) and what Jesus did (died for the forgiveness of sins) and what he intends to do (return to establish his kingdom). They are all eyewitnesses of the life of Jesus, his death and resurrection, and they will be witnesses to the coming of the Holy Spirit (in Acts 2). They are Jesus’ own personal representatives sent to report to others what Jesus said and did. As in the modern use of the word, a ‘witness” often functioned in a legal context, giving testimony in a court case. As the disciples give their testimony in various speeches, sermons or other teaching opportunities, they are offering evidence concerning who Jesus is. This evidence can be corroborated other eye-witnesses. In Luke 1:2, the author claims to have done this already, confirming the events of his Gospel by eyewitnesses. That Luke himself is a part of the story after Acts 16 indicates that he is an eyewitness himself and can confirm the truth of his document. This is an important historical point, since what accounts for evidence for a first century historian differs from that of a modern writer. As Keener points out, to call upon witnesses is common in other Greco-Roman histories. An eyewitness was the most important evidence a writer could give. Polybius, for example claimed that “sight is, according to Heracleitus, by far the truer; for eyes are surer witnesses than ears” (Hist. 12.27). As I suggested in a previous post, Luke can be both historical and theological, since the two are virtually the same in the literary world of the first century. This commission to be the witnesses of the Messiah in Jerusalem is based on the activity of the Holy Spirit. They are verbally commissioned, but it will be the reception of the Holy Spirit which empowers them to preach and confirms the words of their preaching (through signs and miracles). 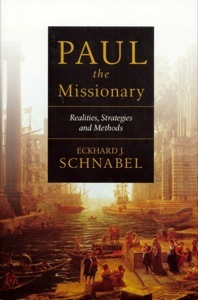 Following Ekhard Scnabel (Paul the Missionary), there are three elements which are a part of this missionary work. First, the missionary communicates the good news of Jesus as the Messiah and Savior. Second, the missionary communicates a new way of life to those who respond to the good news. This necessarily means that social and cultural patterns must change in the light of the Gospel. Third, the missionary tries to integrate these new believers into a new community. The new believers are a new family (brothers and sisters) or a new community (a citizenship in heaven). By in large, I agree with this general outline of method. It is not difficult to demonstrate that Paul’s message centered on Jesus as the Messiah and that his death provided some kid of solution to the problem of sin. What is more, Paul is clear in his letters that when one is “in Christ” everything has changed. The believer is a new creation and therefore has a new relationship with God. The believer has a new family, which means there are new family obligations which bear on social connections. The new believer’s relationship with God has social and ethical ramifications which go beyond the typical confines of “religion” in the ancient world. These elements of mission also explain many of the problems Paul faces in fulfilling his calling. How does a person “live out” this new relationship with Christ? How do Gentiles relate to the God of the Hebrew Bible? If Gentiles are in Christ, how ought the relate to the pagan world? Two examples come to mind. On the one hand, should the Gentile believer in Christ accept the Jewish law as normative for their worship and practice? On the other hand, can someone who is “in Christ” attend a birthday celebration at a pagan temple without actually worshiping any god? In the first case, the Gentile is radically changing his pattern of life which would create a social break with his culture. In the second case, he is making a minor adjustment in order to remain socially accepted. These are not straw-men, since there are clear cases of both things happening in the New Testament. I assume Paul would be someplace between these two extremes, based on a reading of Galatians and 1 Corinthians. I point this out because it highlights the difficulty of applying Acts as a one-size-fits-all mission strategy. I think that Schnabel’s first point clearly describes the activity of the Jewish church in Jerusalem, but does the second? To what extent does Peter have to instruct Jewish believers in proper practice? The third point may have applied although quite different in practice from the later Pauline congregations. What is remarkable to me is that this last problem is a non-factor for the first nine chapters of Acts. Peter and the twelve do not face the problem of what to do with Gentiles since they do not target them at all. Even after Peter is sent to Cornelius, there is no really problem since the God-fearing Gentiles are nearly Jews by way of practice! The first time I taught through the Book of Acts in a college class, I asked the students to write an essay describing Paul’s missionary strategy as illustrated by book of Acts. I thought this was simple enough and most students caught on that I was looking for “what sorts of things does Luke describe Paul as doing when he first visits a new town.” Basically, Paul went to the marketplace and the synagogue. One student, however, argued that Paul did not have a missionary strategy, rather the just did what the Holy Spirit told him two. I was rather annoyed by this, and re-phrased my question, “OK, then what is the Holy Spirit’s missionary strategy?” My point was that the Holy Spirit’s strategy was Paul’s as well, and that we should be able to use this model in our ministry in the twenty-first century. This anecdote gets at a serious problem for students of the book of Acts. Did Paul have some sort of a plan for world evangelism? If he did, how can we adopt that strategy for modern mission? Should the modern church try and replicate Paul’s method in evangelism and church planting? Or better, is it even possible to do mission in the same way that Paul did? Eckhard Schnabel deals with this problem at length in Paul the Missionary. I plan on blogging through large sections of this book over the next four months as I teach through the book of Acts this semester. Schnabel defines mission in terms of intention and movement. Someone on a “mission” is sent out by an authority and the mission is defined by the sending party rather than the going party. Geographical movement depends solely on the nature of the mission. Schnabel points out that this is exactly the description of Jesus we find in the Gospel of John. Jesus was sent by the Father and does nothing but the will of the Father. 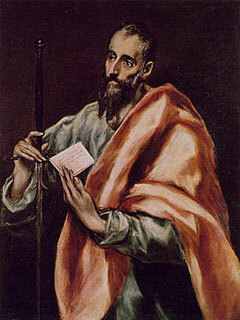 In turn, Paul describes himself as sent by Jesus Christ and God the Father for the purpose of preaching the gospel to the Gentiles (Gal 1:1). So did Paul have a strategy or method in his ministry? Was there an actual plan in his mind, or did he simply following the prompting of the Holy Spirit? Perhaps the answer is “yes.” Schnabel cites J. Herbert Kane: Paul had a “flexible modus operandi developed under the guidance of the Holy Spirit and subject to his direction and control.” (Christian Mission in Biblical Perspective [Baker, 1976], 73). Paul claims to be led by the Spirit, but he also seems to have a logical plan in mind to get the Gospel into places where it will flourish and reach the most people. Another recent attempt to discuss this problem is Paul’s Missionary Methods, edited by Robert Plummer and John Terry (IVP, 2012). This book revisits the classic book on Paul’s methods by Roland Allen and attempts to ask (and answer) the same question Allen began with about 100 years ago: Are Paul’s missionary methods supposed to be ours? About half of the essays in this collection look at Paul’s methods (content of the gospel, ecclesiology, etc) drawn from Paul’s letters as well as Acts. The second half of the book attempts to show that many of Paul’s methods can in fact be applied to contemporary church work and as well as global missionary efforts. As I read this book, it struck me that some of these chapters were actually descriptions of how modern churches do mission looking back to Paul for support rather than beginning with Paul and developing a method. Which is the right way to create a mission strategy? It is extremely difficult to argue that Acts ought to be used as a model for mission since there are several (competing? developing?) strategies in the book. On the other hand, I am not happy with doing what works best the groping around in the Bible to find a text that supports what I already want to do, or what works “best” from a totally modern perspective. It might seem strange to even ask of the book of Acts ought to “apply” to the modern form of the Church. All Scripture is profitable for teaching, reproof, correction, and training in righteousness. The real question is whether the Church in the book of Acts is a model for the modern church to follow. Is the book of Acts normative for Christian practice today? To draw an application from the narrative of Acts is no different than applying a story from the David. But few Christians would advocate David’s experience as the way we ought to do church today (presumably only harps for music in the church, and a strict no-giant rule). Acts is different because it does present the origins of many church practices still used today. Some Christians will argue that the book of Acts ought to be normative for Christian life and practice. For example, since the early church lived simply and held all things in common, we ought to live simply and care for the needs of others just like they did in Acts 2 and 3. Someone like Shane Claibourne would want to apply Jesus’ life of voluntary poverty followed by the earliest forms of Christianity. Often this is narrowed to just Acts 2:42 as a model for the ideal church (teaching, fellowship, prayer, breaking of bread). On the other hand, most Christians dispense with Acts as a guide for how to “do church” today. This may take the form of a liberal Christianity which ignores Acts as authoritative for the church, but more often how we do church has little to do with Acts and we make no apology for this. The “Acts 2” community did not have elders and deacons, they did not have church buildings and they certainly did not baptize or take communion in ways even similar to modern practice. There are no youth groups, choirs, praise bands, hymnals or Sunday School. They did not even take an offering before the sermon! In fact, if you think about the things modern churches spend most of their time doing, the earliest forms of the church did none of them. My goal in reading Acts, therefore, is to observe very carefully how the church as we know it developed over the thirty years covered by the book. There is a distinct shift from Jewish messianic ministry to Gentile mission, and that shift will result in some difficult times for the early church. Is there any way to decide what practices we read about in Acts ought to be “normative” and practiced in the church, other than “that is the way I was taught in my church”? Why do we cling to some practices (teaching and fellowship) but reject others (voluntary poverty)?